Learning international business is a tango. For the HBU business students traveling in Buenos Aires this summer that metaphor was quite real. 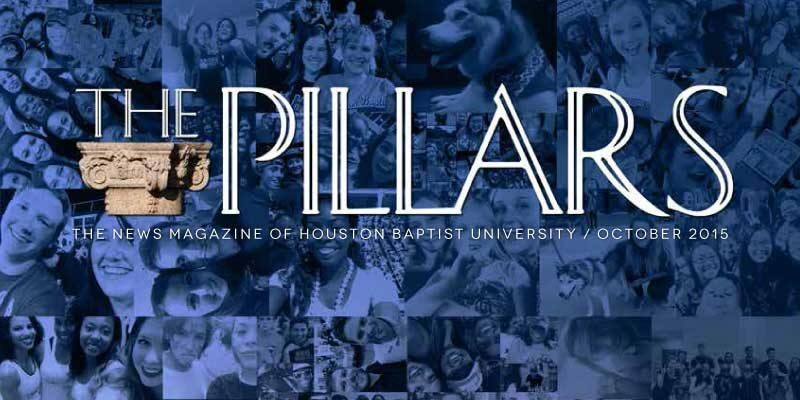 As part of earning their degrees, students in HBU’s Archie Dunham College of Business participate in trips that are organized each year—one in the spring for undergraduates and one or two each year for graduate students. A well-rounded education means being able to step outside of your comfort zone, consider other perspectives, and gain knowledge both by research and by experience. That is exactly what these students gained through three different trips in 2015. They had their eyes opened to the opportunities and challenges of doing business globally across vastly divergent cultures. 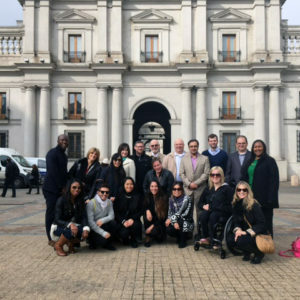 The trip in August took the students to the capitals of Argentina and Chile to meet with executives of eight international corporations and government departments, including divisions of Wrigley and Dow. Learning the business models of the two countries, what makes one work and another unstable, they realized that a Christian’s desire to help mankind transcends ideology. One of the ways that the marketing students of Dr. John “Rusty” Brooks are going to help is by pairing up with students and entrepreneurs from around the world in a program called StartUp Chile. Through in-class projects they will be helping to incubate new businesses while learning from the experience themselves. This is a chance to put their Christian worldview to work in the real business world. The takeaway that another group of business students got from a trip earlier this year in May was a little different. This tour took a combination of both undergraduates and graduate students to the German cities of Munich and Frankfurt. Despite a little trepidation from the professors about bringing students of differing levels on the same trip, the students rose to the occasion with the graduates providing valuable mentorship to the undergrads. Prior to departure they conducted research on the structure, market, history, and line of business for each of the four large companies they were scheduled to visit. In addition to interacting with high level HR and marketing managers, the students also took in several cultural and historical experiences, including the concentration camp at Dachau. Their hearts and minds were opened to understand the necessity for empathy in international business. This lesson hit closer to home for the Human Resource Management grad students who traveled to Dubai, UAE, andBangalore, India earlier in May. It hit closer to home because instead of dealing with historical realities, they were dealing with current legal realities. In the United States employers are forbidden from making certain discriminations when hiring. In the United Arab Emirates and in India there are no comparable laws. Hiring decisions and pay are frequently determined by race, gender, nationality, or family connections. This forced the students to deal with questions of right and wrong intersecting their daily work. Experiencing other cultures is especially valuable for those who deal with human resources. According to one student on the trip, “Being in HR, part of our job is being able to put ourselves in different employees’ shoes to understand them better, especially culturally.” The wealth of Dubai and the poverty of Bangalore were enlightening each in its own way. These trips are only available to students majoring in business in the Archie Dunham College of Business at HBU.